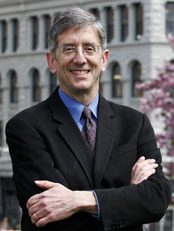 Joel Solomon is President and CEO of Renewal and Chairman for Renewal2 Investment Fund. In 1993 Joel joined Carol Newell in the development of Renewal Partners and the Endswell Foundation. Renewal has since invested in over seventy five companies that share it’s commitment to socially responsible growth, including some of the best-known social purpose companies in Canada. Through its long-term commitment to capacity building, strategic alliances and institutional development, the Endswell Foundation helped sustain many charitable organizations who worked for a conservation economy. Joel is a founding member of Social Venture Network (SVN.org), Business for Social Responsibility (BSR.org), Canadian Business for Social Responsibility (cbsr.ca), Renewal Land Company, Tides Canada Foundation and the Sage Center. He is Chair of the Board of Tides Foundation (US) and sits on numerous other boards throughout North America. Margot Franssen is one of the most innovative and passionate communicators in Canada. She has effectively brought issues to the forefront of the public consciousness and has inspired countless groups and organizations from coast-to-coast with her powerful and unique style. Margot encourages everyone in Canada to Speak Out and Take Action for positive change, and is a leading voice on the issue of Social Justice and Women’s Rights. In 1980 Margot founded The Body Shop Canada, creating a company recognized for its ethical business practices, and its commitment to promoting positive self esteem and "Profits with Principles". Under her leadership The Body Shop achieved a brand recognition just behind McDonald’s Restaurants in Canada, building strong awareness without the use of any traditional advertising. "Be bold, be daring, be different, be caring," says Margot. That's the formula for a successful business. Under her guidance The Body Shop raised more than $1.3 million for violence prevention and recovery programs. In 1995 Margot was honored with the Grand Award from the United Nations for effectively addressing an issue of vital concern to the UN. She has received many awards and honors for her work in International Social Justice and Social Responsibility and is an Officer of the Order of Canada. 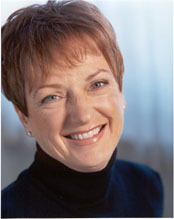 In 2004 Margot sold The Body Shop and devoted her time exclusively to the Canadian Women's Foundation and serving on the board of Women's College Hospital in Toronto. She co-chairs the Endowment Campaign for the Canadian Women's Foundation and is at the forefront of Women Moving Millions, a monumental leap forward in philanthropy for women. She has been with her husband for 35 years and is the mother of 3 children. 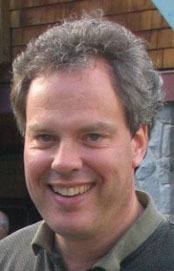 Keith G. Myers is the Executive Director and Co-Founder of 2SenseWorth.org. He has experience in philanthropic fund-raising management and served on Catholic Charities of Los Angeles Boards for nineteen years, including the Board of Trustees for thirteen years. He was Board Treasurer and member of the Executive Committee and President of a Regional Board. Keith also served on an Advisory Board of Presbyterian Intercommunity Hospital and is currently a member of the St. Jude Medical Center President's Cabinet. As a leader in his fraternal organiztion, he is active in raising funds for the benefit of the mentally and physically challenged, and has been honoured for his work. Keith has participated in the bridge and gap financing of dozens of motion pictures and was the Associate Producer of the acclaimed documentary, "An Uncommon Kindness: The Father Damien Story." As executive producer of Vision4Media's Journey's Project original content film division he received a 25th Anniversary Classic Gold Telly Award for Excellence. He was Vice-President Operations of Christian Funeral Services, a subsidiary of Service Corporation of America. 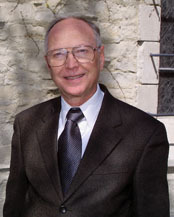 For ten years prior Myers was Executive Director and General Manager of the eleven-cemetary operation of the Catholic Cemeteries for the Archdiocese of Los Angeles. During this time, he conceived the idea and directed the implementations of a "Grief Ministry Training Program" in which over 2000 lay and religious grief program facilitators received training. 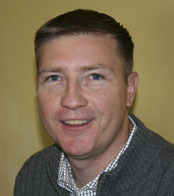 Miles Williams has been Director of Online Marketing at Barnes and Noble since 2006. He is responsible for driving customer acquisition and revenue growth for Barnes&Noble.com through its affiliate network, search engine marketing, SEO, and new business development. His team explores and utilized emerging internet media opportunities including mobile commerce, social networking, web services, targeted and contextual display advertising, and next-generation search products. These marketing channels will drive $180 million in sales to Barnes and Noble.com this year. Miles joined Barnes & Noble in January 2001 as Director of National Account Sales and handled the company's corporate, government and institutional sales effort through 2005. Prior to joining Barnes & Noble, Miles spent six years at Pearson Education in various sales, marketing and editorial positions within the Prentice Hall division. His last position was Senior Acquisitions Editor, where he was responsible for developing a new line of interactive video training courses with leading authors to re-purpose existing intellectual property and deliver value-added multimedia training products to market. Tim Parsey is a founding member of an early stage start up called shiftalliance, whose focus is designing high performance, meaningful business models. Previously he helped companies build, fix, or re-set their internal design cultures as a corporate consumer products design executive for computers (manager, industrial design studio, Apple), office products (vp, consumer products design ACCO), cell phones (corp vp consumer experience design, Motorola), toys and kid focused consumer products (vp consumer products design, Mattel), to digital entertainment (partner, director of user experience, entertainment and devices, Microsoft). David Van Seters is President and CEO of Small Potatoes Urban Delivery (SPUD) Inc., an organic food delivery company that he founded in 1998. SPUD has grown rapidly in the last ten years and is now the largest organic food delivery service in North America, with revenues over $16,000,000/year. The company has 16,000 customers, over 200 staff, and operates from seven warehouse locations (Vancouver, Victoria, Calgary, Seattle, Portland, San Francisco, and Los Angeles). The company has a strong social mission and is a member of the Business Alliance for Local Living Economies (BALLE) and the Better Business Bureau. Last year the company contributed over $50,000 to local community groups. 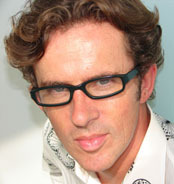 In the decade prior to launching SPUD, David spent 4 years running a business management consulting firm and 5 years as the National Environmental Practice Leader for KPMG consultants. David sits on the Board of the Fraser Basin Council, a non-profit group working to foster sustainability in the Fraser River Basin in British Columbia. Nancy Bradshaw has committed her life to creating new programs and projects to make the world a better place whether at the global, corporate, community or individual level. Nancy worked for 10 years in the high tech world implementing innovative software programs to improve performance. She then went on to provide management consulting with socially and environmentally progressive small to mid sized businesses as well as non-profit organizations, including The Dalai Lama Center in Vancouver. She was a founder of Canadian Business for Social Responsibility and received an Ethics in Action award for her pioneering role in socially conscious business. She has been profiled by the Vancouver Sun as one of British Columbia's 25 most influential people for the next wave of leaders and was listed as one of Top 40 Under 40 by Business in Vancouver. Today Nancy leads Joyfilled Productions, an organization that focuses on strengthening the emotional and social development of children. They currently offer a CD that fills children with a sense of well being while helping them gently drift off to sleep. Nancy is very involved with the Expert Friends Program, peer group training, that teaches relationship skills to isolated and typical children. 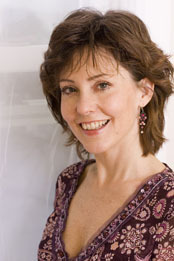 She was recently named by one of Vancouver's local magazines, Shared Vision, as a visionary for her work with children. It is her role as a mom that gives her the most joy.